Guess what, we are actually leaving JAPAN! It is bittersweet because we love it here but the on-again off-again with flying home has been hard to roll with. I know I said I thought for sure we'd be home the 14th and that obviously didn't happen, but now I am completely sure. Well, a typhoon is heading our way so I'm holding my breath a little bit- the joke around work is that our flight will be cancelled or delayed... Not funny guys. Okay let's get to the good part: GIVEAWAY! 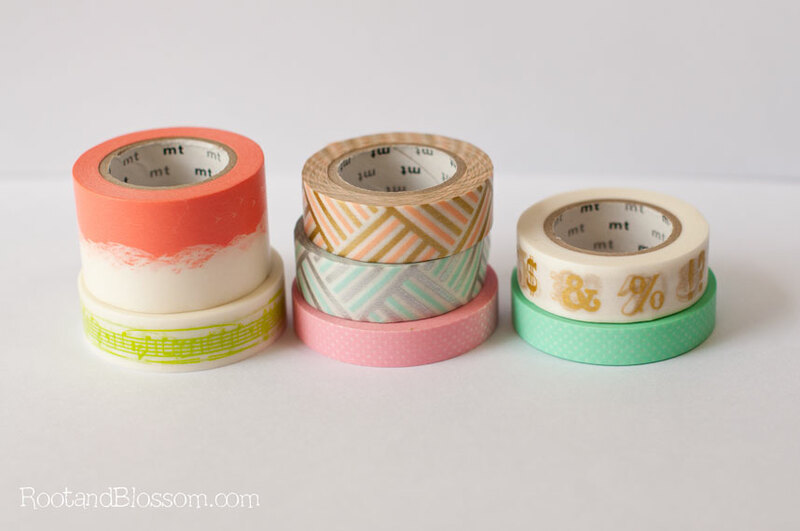 In honor of my two year Blogger Blogiversary, hitting 100,000 page views - thanks guys, this has been such a fun creative journey thus far and I've loved making new friends along the way - and finally heading home, I'm giving away seven rolls of gorgeous Washi tape! 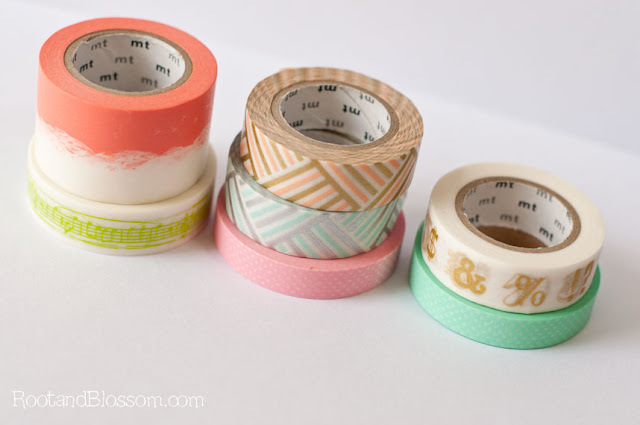 If you don't know what to do with Washi, have no fear because there's a Pinterest board for that! I wish I could send you all out some of this awesome washi, it is everywhere here and so completely charming! Good luck! Yay! This would make for some fun craft projects at my house! I love washi tape! I would use it to decorate items and put on snail mail :) I also coordinate Pen Pal groups and this would be great to put on the letters. I LOVE snail mail! Always fun to hear of others still supporting the USPS. I'm beginning to get obsessed with washi tape! Thanks for the heads up on the giveaway. Gosh I hope I can get around to crafting SOMETHING! I just got back to the States about 11 hours ago and cannot wait to get my craft on! love this tape!! I would looooove it for cards. i am trying to use more snail mail, this would be a perfect touch! 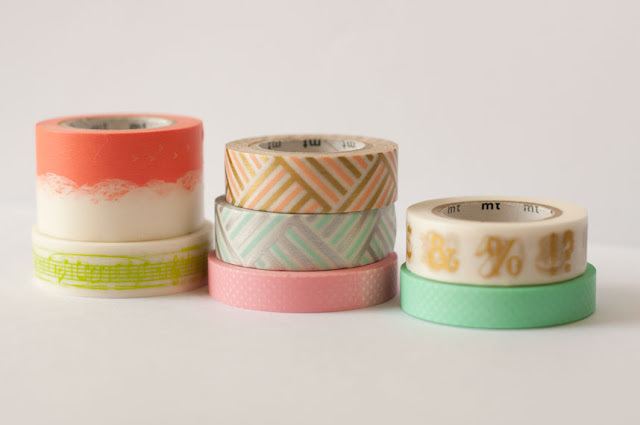 I have yet to buy any washi tape, can you believe that? What is wrong with me, I know?! I would use it to create some kind of fun framable art or use it for packaging my Etsy orders! Thanks for the giveaway! Etsy orders was one of my thoughts too! I love washi tape. It makes the cutest flag toppers for cupcakes and pancakes. Is also pretty darn cute tackling art projects. I have been wanting to use it but don't know where to get it here in Australia. So i hope I'll win :) I will be using it to decorate my wall. Maybe making some word using washi..
First, thanks for such a great giveaway! I would use the tape in my art journals and smash books and calendars and ...oh so many things. Love Washi tape! I could get super creative with it. ah! I was just thinking about how I needed more washi varieties. I use it for so much! I'm a big fan of letter writing, so I use it to seal up those puppies. I use it to tape notes and dried flowers to my wall, I use it in packaging for my shop... The possibilities are endless... I'll probably use it for a heck of a lot more after i've clicked on that pinterest link you've provided. <3 great giveaway! I was thinking about using it on some upcycled glass containers to make vases, etc.